When you are responsible for implementing change, it can be tempting to dream about where you want to go and then to start taking immediate steps to move the organization in that direction. But first, it is essential to understand the organization and how it currently works before you start changing it. If you jump out of the blocks before you take a hard look at the status quo, you might soon look back and find that everyone else is still standing back at the starting line. The following are three things you should know about the organization before you start changing it. When plotting your course on a map, you can’t get to where you are going without first knowing where you are now. You need the dot that says, “You are here.” Similarly, when planning your project, you need to know what you are changing from, so you can figure out the steps to get to where you want the organization to go. If you start making changes with only the destination in mind, you might find out too late that you started at step 7 instead of step 1. Start by asking yourself questions like: What is really changing? What are we fixing? How will we know when the organization is different? When things start changing, it can seem like everything is up for grabs. 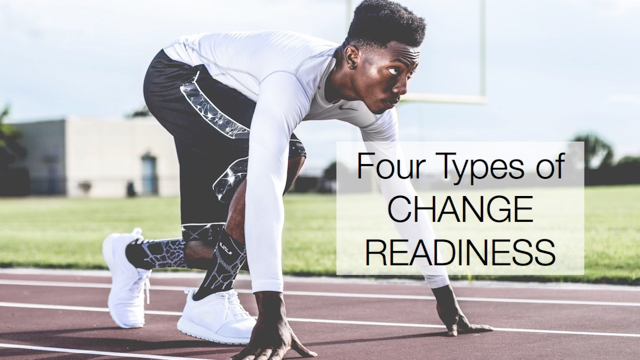 Most likely, there are aspects of the organization that you want to make sure don’t get meddled with during the change process. Identifying up front the things you want to keep will help maintain stability, and ensure you are not changing things unnecessarily. Determine what should stay the same. Start with the organization’s strengths and values. Ask: What works? What don’t we want to mess up? What should be protected? As someone who is responsible for the change, you already intuitively know that you are trying to move away from something, even if you haven’t articulated it. But, other people will need to see it as well, before they are ready to give up what they are used to. If they are happy and comfortable with the way things are working now, it might not be enough to have a clear, inspiring vision to get them to try something new. Identify what isn’t working the way it could. Help people feel dissatisfied with the way things are. Communicate to others: What is our “burning platform?” Why can’t things stay the way they are? What happens if we don’t change? It is normal to want to avoid dwelling on the way the organization is now. After all, it’s your job to move people away from the status quo! But if you start trying to shift the organization before understanding the items above, you might have to regroup later and try to start again.